Help give everyone a chance to be a star. Music Without Barriers hasn't added a story. Music Without Barriers - a non-profit organization dedicated to giving everyone the ability to create the music they want to create, regardless of their individual physical, cognitive or other life barriers. When Joey was 5, all he wanted to do was to rap, sing and make music. However, he has cerebral palsy, which in his case, makes it impossible for him to create his own music. With the help of some amazing technology, a professional musician, and the support of his teachers and family, he overcame the barriers of cerebral palsy and has now launched his first single on iTunes! Joey is amazing, and an inspiration for many around him. But what if someone doesn't have access to this kind of a community? What if your family can't afford the technology to help a loved brother, mother, son or daughter communicate? What if your area simply doesn't offer programming designed to help diffrenetly-abled persons shine? How on Earth are you going to connect to a professional musician or Music Studio!? Enter Music Without Barriers: a community of Experts, Innovators, Researchers, and Professional Musicians that connect, collaborate, and create music in order to give everyone the chance to shine. There are no fees and no strings attached - our simple mission is to work with each Artist and with the support of our Community show the world what is possible. Over a year ago we set out to see what we could do with no money, minimal reseources, and pure volunteer blood, sweat, and tears. We have since written several songs, colloaborated with one of the biggest schools and medical rehabilitation and research centers in Canada, created an album, created a record label, become a registered non-profit organization and continued building an exiciting network of collaborators. So what is this fundraser for? Music Without Barriers is now working hard to make this community a funded organization with programming to help everyone access music. It's time to see what we can do with a years' worth of funding. If our campaign is successful, we will build a studio, hire staff to help drive our vision, and get to work on making more stories like Joey's possible. We want Music Without Barriers to be a community that lasts a long time, and with your support, we will endeavour to do just that. We envision a future where we have studios all over the world, dedicated to giving everyone the chance to express themselves in music, no matter the barriers. Help us continue the next step of our journey and join us in realizing the dream where everyone has a chance to be a star. Music Without Barriers hasn't posted any updates yet. 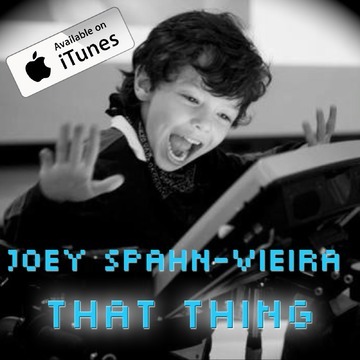 Get a free copy of the song, "That Thing" by Joey Spahn-Vieira. Normally, the profits from the sale of this song are spilt between Joey and the musician, but both have agreed to donate their song to you, in order to say "thanks" for helping new songs come to life! You will get a free copy of Joey's song "That Thing" as well as the finished version of one of the upcoming Music Without Barriers singles, fresh from the studio if we reach our funding goal! You get a copy of all the music from the previous perks, but also a copy of the first album that we release from the studio, when we reach our funding goal. Single, Album, and Wall of Fame! We will immortalize your name in our first ever studio by putting you on our wall of incredible donors. We will make you an official member of our organization, where your voice and opinion can guide our board in making the right decisions for Music Without Barriers' future. Oh, you'll totally get the $5, $20 and $50 perks too. Receive all of the the previous perks, plus have your name immortalized on any of the equipment purchased for the Studio. You can even give the equipment a nickname! With the pledge of one-thousand dollars, Music Without Barriers will donate to you recording time in the studio, when the studio is finished. This recording time will be the equivalent of 1 single, without mixing and mastering, or 8 hours - whichever comes first. Please be patient with this perk, as it will take time for us to have the studio ready. 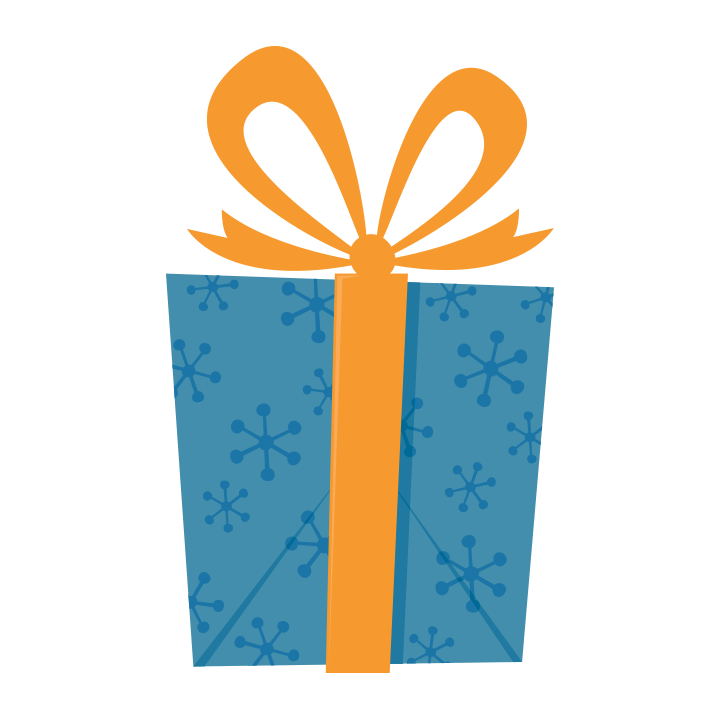 To hold you over in the meantime, you will definitely enjoy the perks from all of the previous donation levels! For two-thousand dollars, we will record a single in the studio, as well as mix and master the song. If you're going to go all-in, so are we. How about we record an album together at the newly built studio? Sounds awesome? We thought so too. Music Without Barriers is managing the funds for this campaign. 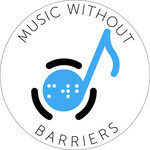 Music Without Barriers is a verified organization.